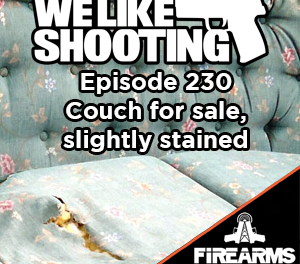 Welcome to the We Like Shooting show, Episode 86, this episode we talk about the Pfeifer SR2, The Pact, Rapdom Fingerless Gloves, 80% 1911’s and more! “Guntry” Clubs – Gun ranges working to appeal to diverse groups of shooters. Young Simba: I’m gonna be King of Manticore Arms. Young Simba: My dad just showed me the whole kingdom. And I’m gonna rule it all. Heheh. Young Simba: Hey Uncle Scar, when I’m King, what’ll that make you? Young Simba: [laughs] You’re so weird. Message From: 12gagecamo. When building a AR15, how do you test it to make sure it’s battle ready? Mine looks good, but is it ready for the fight?